Give to Lincoln Day is in 2 weeks! I am happy to share with you that Give To Lincoln Day will be repeated again this year on Thursday, May 16th! This is one special day, sponsored by the Lincoln Community Foundation, when everyone in Lincoln is asked to make a donation and show support for our local nonprofit organizations that contribute so much to our great city. Online donations can be made anytime from 12:00 am – 11:59 pm on May 16th at www.GiveToLincoln.com. The Lincoln Community Foundation office will be open between the hours of 8 am – 5 pm to receive gifts from individuals who prefer to make a donation in person. 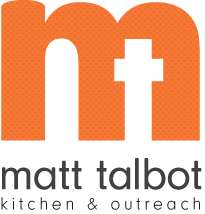 Stay tuned in the coming days for stories about how your donations help Matt Talbot provide hunger relief, homeless prevention, and outreach services that positively impact the lives of the working poor and homeless in our community. Please mark you calendars for May 16th and help us spread the word about this amazing opportunity. Every donation made on May 16th will help nonprofits even more because they will receive a proportional share of a $200,000 challenge match pool. Nonprofits with the largest number of donors will be awarded additional bonus grants. Last year over $11,000 was raised for MTKO. And those funds couldn't have come at a better time as donations typically slow down in the Spring. We are excited to celebrate the generosity of Lincoln's residents during this community wide event. And special thanks to the Lincoln Community Foundation for their leadership in making Give To Lincoln Day possible again this year!